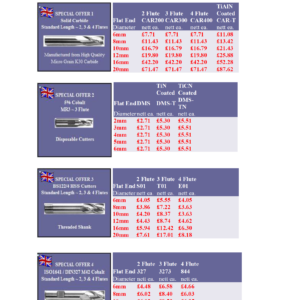 We are pleased to offer an unbeatable deal on a range of MR Tool Products, from Solid Carbide standard length End mills to disposable cutters. All Manufactured in the UK. Solid Carbide Sizes Manufactured High Quality Micro Grain K30 Carbide.